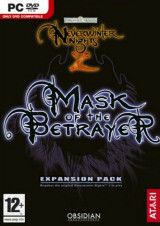 Set in harsh, spirit-rich Rashemen, near the powerful nation of Thay (think Red Wizards), Mask of the Betrayer will present players with a new 20-30+ hour campaign; epic levels; dozens of new feats and spells; new races, base classes and prestige classes; new companions; new weapons, armour and crafting options; hordes of new monsters; and enhanced modding tools. To learn more about the specifics, we've decided to chat up Nathaniel Chapman, the Assistant Producer on the expansion due to ship this fall. SP: Hello and greetings on behalf of Sorcerer's Place. Could you please tell our readers about your role on the team, what you've been working on in the expansion, as well as perhaps back in the original game? What is the most interesting, or rewarding, part of what you've been doing? Nathaniel Chapman: Hi! My name is Nathaniel Chapman. I’m an assistant producer here at Obsidian – I worked on the original Neverwinter Nights 2, after which I transitioned on to working on both patches to NWN2 and assisting with Mask of the Betrayer. I’ve done various things on both projects, from asset wrangling, to some GUI layout and design, to assisting with localization. SP: How about a little update on the works' progress for us? Nathaniel Chapman: Things are going great here in NWN2 land. We’re wrapping up Mask, as well as preparing to release our beta version of the 1.07 Update for NWN2. Mask and 1.07 both have a lot of great stuff for the community, so we’re really excited that everyone is going to get to see them before too long. SP: Watching the E3 presentation, I noticed you gave a lot of attention to the Genasi, the new Planetouched race with elemental heritage. What made you choose that specific race to implement in the expansion? Nathaniel Chapman: Well, they’re one of the few player races in the Forgotten Realms Campaign Sourcebook that weren’t in NWN2 before. The community loves them – they were one of the most requested new subraces in the NWN2 forums. They’re also one of the coolest races from a conceptual perspective, and they gave our artists a chance to be really imaginative with their look. Overall, they’re a great match for the focus of Mask – they look really cool and they give players something they’ve wanted since NWN2 shipped. 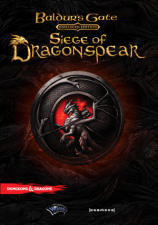 SP: In the same interview, Feargus Urquhart said the story picked up where the original game ended, but the story is meant to make it equally playable for those who haven't played the official campaign first. That also means new companions. New companions probably means new romance. Will the old active romance with Elanee or Casavir be concluded somehow before a new one begins or is it left totally for the player's imagination to figure out? Nathaniel Chapman: Well, it’s sort of a mix of both – we leave some of the specifics up to the player’s imagination, while at the same time offering closure as to what happened at the conclusion of NWN2. While Mask does tell its own story, and you don’t have to have completed the NWN2 campaign to enjoy it, we do make a lot of nods to NWN2’s campaign. SP: Yet another thing Mr Urquhart mentioned was the optimisation of the graphical features of the engine, while sticking with the same hardware requirements as the basic game had. Could you please fill us in with more detail on that one? Nathaniel Chapman: We’ve made a lot of performance improvements to several aspects of the game’s rendering engine, that have both been included in previous NWN2 updates and will also be included in update 1.07. In addition to those improvements, we’ve also gotten better at utilizing the engine such that we can provide players with much more exciting areas, characters and creatures without causing a performance hit. We’re extremely happy with this aspect of Mask of the Betrayer – the game looks great and runs much better than NWN2 did at release. SP: Neverwinter Nights 2 featured a great use of conversation skills as well as even non-conversational skills used in conversations, some of the best I've seen. Is the expansion going to keep up with this trend, and, since epic levels are in and Epic Skill Focus is obviously going to be there, will the game provide sufficient incentive to take, let's say, Epic Skill Focus: Diplomacy over another combat or metamagic feat? Nathaniel Chapman: There are a lot of opportunities to use social skills in Mask – in addition, gaining influence with your companions can assist you in areas that your character isn’t as strong. For instance, one of our companions is an extremely charismatic Spirit Shaman, and if you’ve got high influence with him he may choose to break in and help you where you might otherwise have failed in certain situations. SP: It seems every or almost every release in the Neverwinter Nights saga has featured at least one trial of justice of sorts (Beorunna's Well, Castle Jared in the Neverwinter Nights official campaign, the protagonist's own trial in Neverwinter Nights 2, similar events in Neverwinter Nights expansions). Out of curiosity, can we expect one in Mask of the Betrayer? Nathaniel Chapman: We don’t put the player on trial in Mask. While trials can be fun in RPGs, that was something we did in NWN2. We tried to focus on providing players with things they haven’t done before in the NWN games – for instance, visiting Rashemen, Thay and some other exciting locations we’d rather not spoil. SP: It has been noted that primary spellcasters in Neverwinter Nights 2 received many nice spells from additional D&D sources, but paladins and rangers didn't receive such royal treatment. Is this going to change in the expansion? Any particular new feats for those classes, epic or otherwise, by the way? Nathaniel Chapman: We have included some new epic feats for Rangers and Paladins – we’ve got Epic Divine Might and Rescue which are great for Paladins, and we’ve added some cool Epic Two Weapon Fighting and Archery feats for Rangers. SP: The influence system is said to have been improved or even redesigned. Could you please cast some light on this? Nathaniel Chapman: The influence system is something that we’ve used in all of our games so far, and it’s something we’ve given a lot of thought to in Mask of the Betrayer. We’ve done a lot to improve both visibility and reactivity. In Mask, you can open up any of your companion’s character sheets and see your influence level with them. In addition, influence is broken down into broad levels based on the current value, and at higher levels companions will both gain feats that make them stronger and grant the player feats that make him or her stronger. Additionally, if you lose enough influence with companions, they may choose to leave your party, or even attack you. As a result, the companions feel much more responsive and you feel a lot more rewarded for currying favor with them. SP: Lastly, for the modders out there, what are the most significant additions to the toolset? Nathaniel Chapman: Well, there are a lot of additions that have gone in since NWN2’s release in our previous updates - and most of the general improvements we’ve made over the course of developing Mask will continue to go to users of NWN2 as future updates. In addition to those general improvements, Mask also provides about 120 minutes of new music, over 20 new creature models, new races, new items, new tilesets and tileset texture variants, new terrain textures, many new placeable models, new item and armor models, and more. Mask, both in terms of its Campaign and in terms of new assets for community modders has enough content to almost be a standalone game in itself.